Anna Gassman-Pines is an associate professor of public policy and of psychology and neuroscience at Duke University. 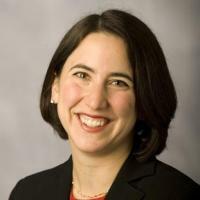 She is also a faculty fellow of Duke’s Center for Child and Family Policy. Gassman-Pines received her BA with distinction in psychology from Yale University and her Ph.D. in community and developmental psychology from New York University. Her research focuses on low-wage work, family life, and the effects of welfare and employment policy on child and maternal well-being in low-income families. Her research has been supported by grants from the National Science Foundation, American Psychological Association, National Head Start Association, and National Institute of Mental Health, and various private foundations. © 2019 Center for Child and Family Policy. All rights reserved.